You will often find me writing about purchasing dividend stocks as a great investment. I have also thought long and hard (and even written) about investing in a rental property. So at first glance, you would think that the best investment you will ever make would be in the stock market, real estate, or some other type of asset. Well … I would have picked one of those types of investments a few years ago if you asked me. However, my view has changed dramatically on this topic. If you ask me today – I will tell you that the best investment you will ever make is – your health. A healthy body that functions properly is the most important asset there is. And you need to take care of it by eating healthy, unprocessed foods. That is why our family (my wife, oldest son, and myself) recently started and successfully finished the Whole30 program. For those that don’t know what the Whole30 is, you can read more here. Basically, the program allows you to eat only unprocessed meats, fruits, vegetables, nuts, and healthy fats. No sugar, alcohol, processed junk, grains, legumes, etc. All of these rules (plus a few more not listed) for a total of 30 days. Sounds hard, but it really isn’t. Our family liked it so much that we didn’t stop after day 30. In fact, we are trying for 60 days instead. Who knows – we may even get to 90 days! But as painful as it may sound to a frugal minded person – investing in your health is going to cost more. There is just no way around that. The healthy food that we ate on the Whole30 cost more. Fresh fruit and vegetables cost more than processed food-like items. Nuts and dried fruit cost more than a bag of chips. And I am not even talking about organic, grass-fed, blah, blah, blah. 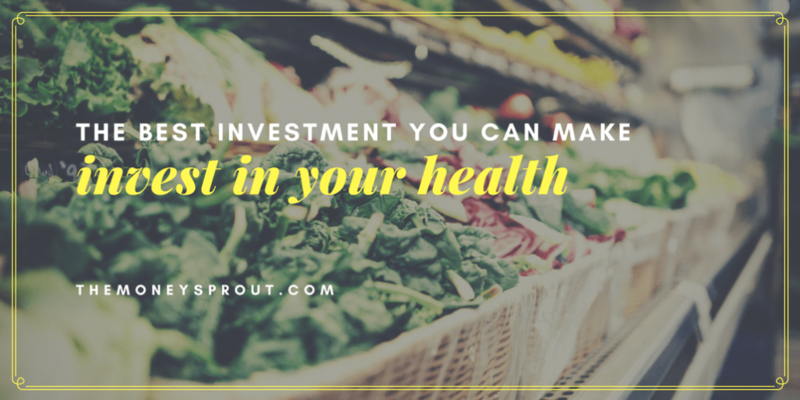 But once you get past the extra costs, I think you will find it worth the investment to buy nutritious, unprocessed foods to invest in your health. Here is a quick recap of how much more we spent last month while on the Whole30. In order to put some “real numbers” around eating healthy, I went back and calculated our grocery spending for the months of March and September of this year (2016). March represents our previously normal food budget before we started our Whole30 journey. We started the Whole30 at the end of August and have continued it into October. So I know that September will give a good representation of what we are spending on healthier food options. The difference between what we used to spend and what a healthier month looks like was – $508.52. Now, this only shows 2 months worth of data. I plan to go back and calculate the entire years spending on groceries for 2016. August will represent a transition month into our new lifestyle. Future months for October, November, and December will likely be closer to September. All the other months leading up to September would likely fall closer to what we paid in March. Is $500 More a Month Worth the Benefits? If you would have asked me this question a year or two ago … I would have said “NO”. I would have probably tried to figure out a way go 50/50 on eating healthier versus the extra costs. Maybe a $250 increase would have been okay? However, the more and more research I do about the foods we eat … the more I believe that food is the best investment you will ever make. I have first hand proof that spending more (a lot more) on food is worth it. My oldest son is also on the Whole30 program with my wife and I. For the past decade, he has dealt with asthma, allergies, and several other related conditions. We have spent a ton of money on prescriptions, doctors office visits, and even a few hospital stays along the way. Guess what? Over the past 30+ days since he has changed his diet – he has been perfectly healthy. And I realize this is only a little over a month – but trust me – he is much healthier. We are now in the fall season, which has traditionally been horrible for his asthma. The drastic change in temperatures from one day to the next usually wreaks havoc on him. Well … not this year. He is doing great. My wife and I have also been feeling healthier, more energetic, etc. Although I can’t really quantify these benefits – they are 100% worth the extra money we are spending on groceries now. I plan to closely track how much we are spending now on groceries as well as our monthly medical costs. I fully expect our grocery budget to remain the same as September. Maybe a little less since we are starting to figure out the best places to buy healthy food. As I mentioned already, I also plan to go back and calculate our monthly grocery spending for the prior months of 2016 (other than March). I picked March to compare as I knew that it closely matched a month like September – except for the type of food we were buying. For years, my wife and I had always budgeted about $125 per week for food. That comes out to just under $550 on an average month. Unfortunately, even on a cheap month for groceries we were not hitting our budget. I guess it is time to finally realize that the best investment we will ever make is our health. Buying healthy, whole, unprocessed foods is part of that necessary investment. Without question – the best investment you will ever make is your health. Not dividend stocks (even though I think they are great), real estate, or your own business can pay you back like a healthy body can. What is the point of becoming financially independent if you have poor health? What good is retiring early if you can’t physically enjoy it with your family? 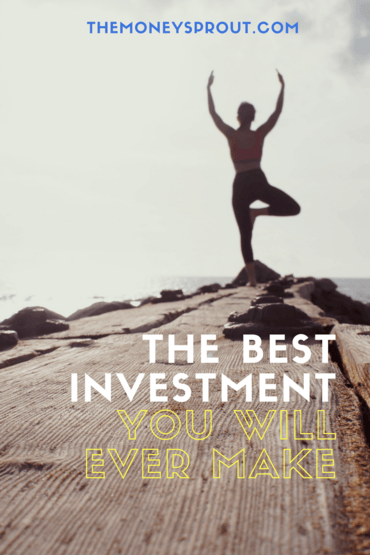 While I believe strongly in owning dividend stocks, real estate, and building multiple income streams – you must first concentrate on investing in your health. Do you invest in your health first? How much extra do you spend a month on buying healthier food?